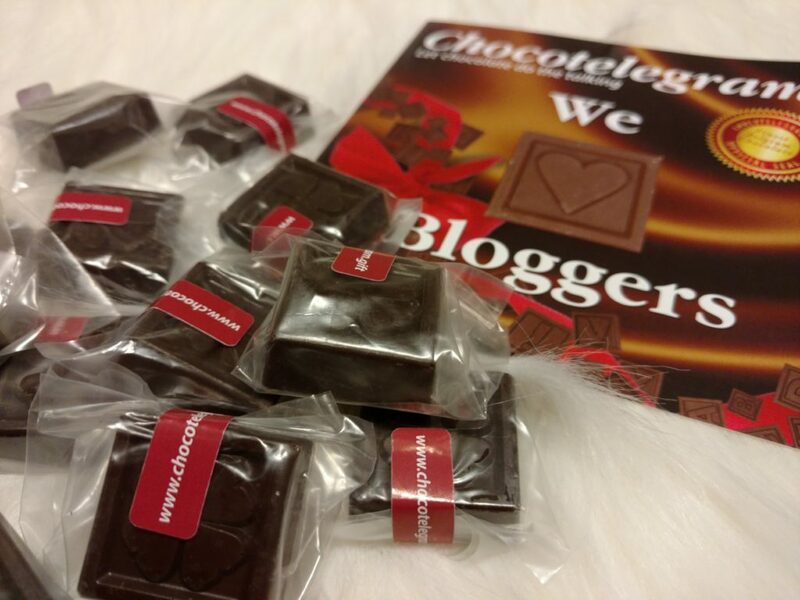 It was love at first sight when I discovered Chocotelegram at #BlogHer16 in the Expo Hall. Chocotelegram was a sponsor and had a display table showcasing all their delicious chocolates. They also had some amazing examples of their express Chocotelegrams and create your own Chocotelegrams. You can even add an image to your design for a $.99 cents upcharge per photo. 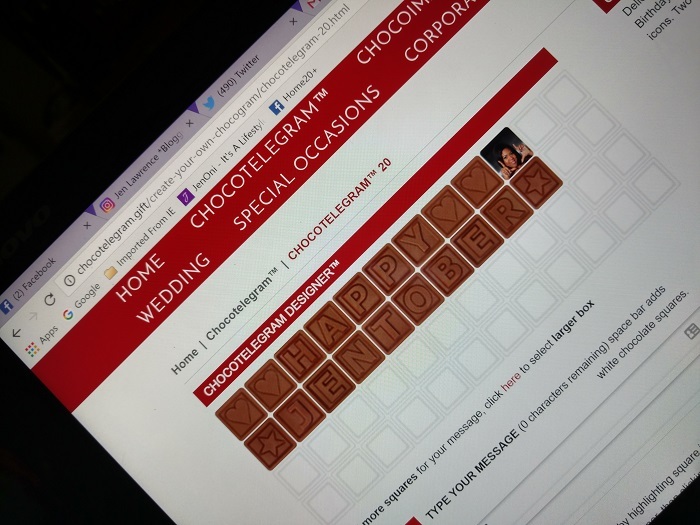 The Chocotelegram website is very easy to navigate and user friendly when it comes to choosing your design or designing your own Chocotelegram. You have the freedom to design exactly what you want. It makes a great gift! I absolutely love the Chocotelegram tag line… “Let Chocolate do the talking!”. October is my Birthday month. I always dub October #JENtober and plan lots of festivities with my friends and family. When I got the opportunity to order and design my own Chocotelegram it was an easy decision that it would be a Birthday Chocotelegram for ME! First I was going to choose the special occasions Birthday Song Chocotelegram but, I wasn’t able to customize it. It says Happy Birthday! I opted to order the Chocotelergram 20 Signature Gift Box with two rows of 10 chocolates. I wanted to be able to create my own message. The chocolate is DELICIOUS! We won’t talk about how quickly I finished my samples. Dark Chocolate is my favorite type of chocolate. I’ll choose dark chocolate over milk chocolate or white chocolate on any given day. 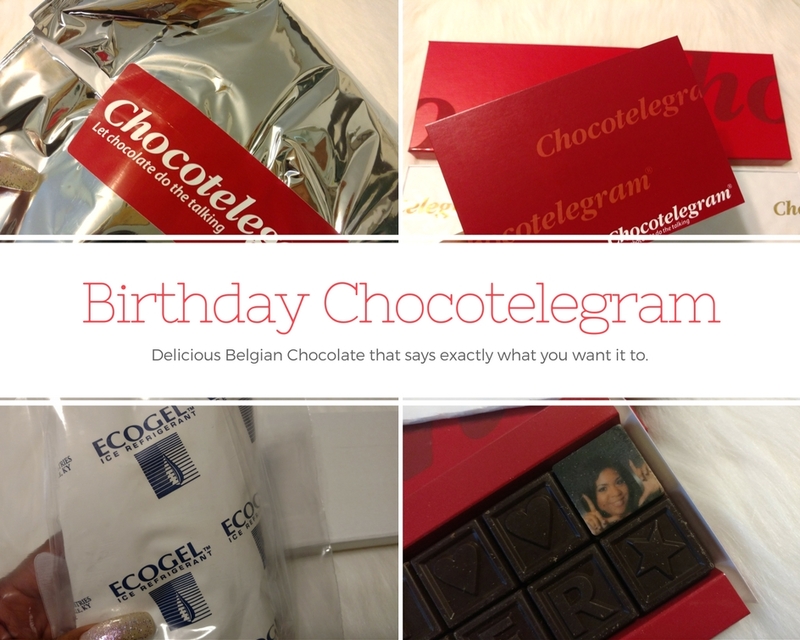 The finest Belgian Chocolate is used to make Chocotelegrams. 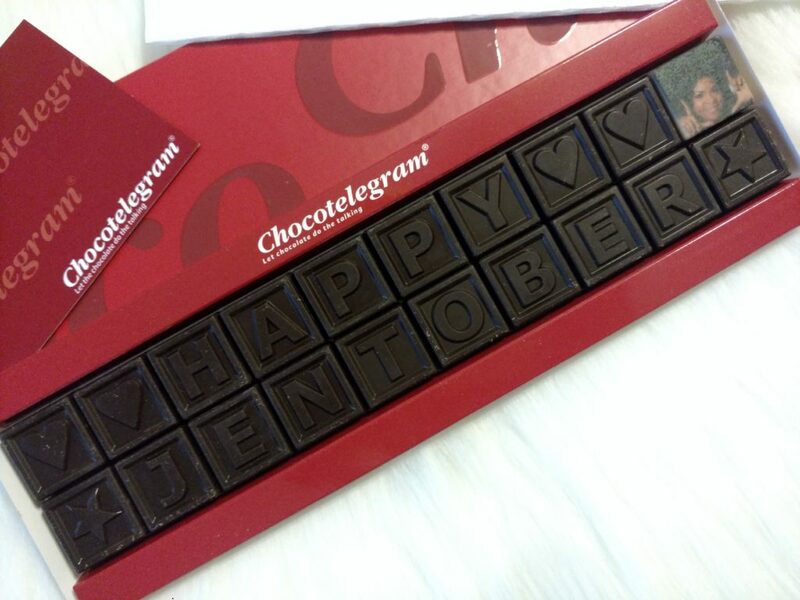 My custom Chocotelegram is dark chocolate and says… HAPPY JENTOBER! I used the Chocotelegram designer to create my message. I also added a few hearts, stars and an image of myself. You have the option of adding fun icons, emojis and images to your Chocotelegram. There are Chocotelegrams for a variety of occasions to choose from. Add .79 each time a color printed icon is inserted in a message. There are a variety of pricing tiers based on your purchase. Once I finished creating my Chocotelegram I chose the standard 1-3 business day shipping. When I received it I was blown away that it was packaged securely. It hadn’t broken, melted and looked great. You get a 100% quality guarantee with no break, no melting & fast delivery options. My signature gift box chocolate came in a padded envelope with Ecogel Ice Refrigerant to keep the chocolate cool. My Happy JENtober Birthday Chocotelegram is AWESOME! Giveaway: I am excited to giveaway a $25 Gift Certificate to one lucky person. Giveaway ends on October 25th at 11:59 p.m. EST. Special Offer: 20% discount using the code: BloggersRock until 10/30/16. Visit the Chocotelegram website for more information. Take a look at all of the special occasions you can choose from. Which Chocotelegram catches your eye or would you design your own? Love this idea, perfect for a chocolate lover! I would choose an express version. I would do a message for me and since October is my birthday month. It should say Happy Birthday to Me! I might design something, it would be fun. I would design my own. I would design my own and have it sent to my chocoholic sister. I’d design my own for the mommy to be as a gift at her baby shower in November! I think designing my own would be fun for my husband! I would love to design my own creation for my sister in law’s upcoming birthday. (I think she’s 30 for the 14th time). I would design my own to let my daughter know how proud i am of her and all her hard work.